Akron Brass manufactures and supports firefighting equipment, from nozzles and monitors to valves, lighting, and electronics. 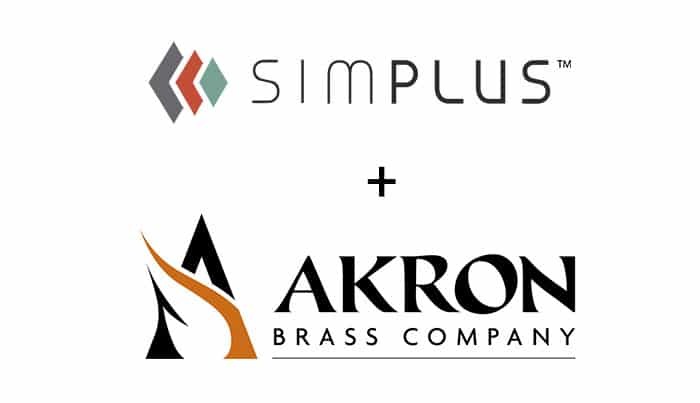 But when Akron Brass was acquired—along with others—by a parent company, it had to combine data with other systems, and migration worries took center stage. The joint decision was made to move existing data from the other companies’ Microsoft Dynamics platforms into Akron Brass’ Salesforce instance. However, data duplication and significant data extraction and consolidation needs threatened the success of the migration as a whole. Then Simplus stepped in. 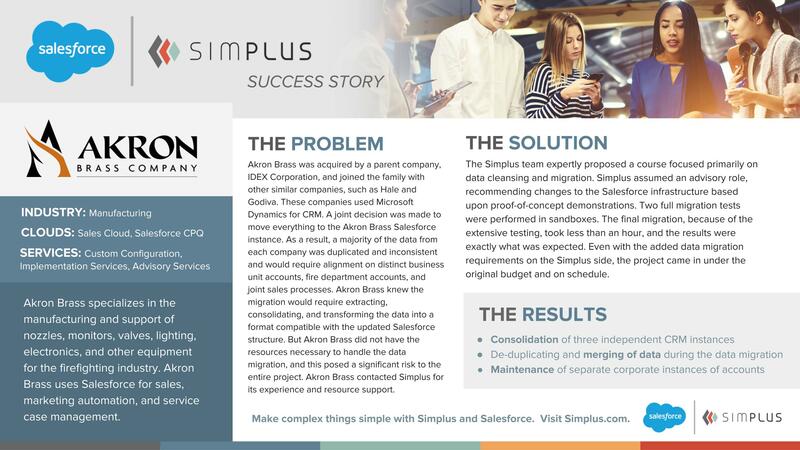 Simplus consolidated three independent CRM instances into one, de-duplicating and merging data throughout the migration. We also maintained separate corporate instances of the accounts. The Simplus approach focused on clean data. We took an advisory position to recommend the best practices and changes. Preliminary migration tests were performed to ensure the best final outcome—the final migration took less than an hour thanks to that extensive testing. Best of all, the project came in under budget and on schedule for Akron Brass.